Since many young musicians are not in a position to pay a publicist even for an individual project, I am dedicating this column to DIY publicity. The information herein has been gained from speaking to valued colleagues, a number of whom regularly dedicate considerable time to counseling young musicians on this topic, whether during visits to music schools and conservatories or as part of their business activities. I have often wondered how much attention a journalist will pay to a recording or project that has been brought to their attention by the artist directly, rather than a publicist. The result of my investigation was heartening. While a pitch from a publicist may catch the writer’s eye more immediately, it is the content of the pitch which really matters the most. James Inverne, former editor of Gramophone magazine and currently Co-Managing Director of Inverne Price Music Consultancy, told me that although he thought of himself as a highly approachable editor while at Gramophone, he rarely had time to do his homework on artists who approached him out of the blue. It helped, therefore, when they had a publicist whose artistic standards he trusted as it was a good indicator of their potential. It also helped if the artist was with a good record label or was championed by a known artist. However, of paramount importance was whether the artist seemed clear in their own mind as to who they were artistically and whether they were able to present themselves in a way that would make an editor care about them. He elaborated on that by saying that “there is thinking to be done before there is pitching to be done.” If an artist doesn’t have a manager or publicist, it helps if they have an adviser with whom they can have strategic and artistic discussions prior to mounting any sort of publicity campaign. In the course of my work on this column, I was introduced by Rebecca Davis to Sarah Baird Knight of DOTDOTDOTMUSIC, who truly touched me with her dedication to educating young people about promoting their activities through building their identity, with an eye towards maximizing their potential for eventual press coverage. She and her business partner, Steven Swartz, once visited Princeton University to speak to percussion students and composers at So Percussion’s Summer Institute. As part of their business, they offer in depth one-on-one consultations with artists in which they explore everything from building an effective website to navigating social media and communicating appropriately with the press. They believe that there is considerable homework to be done by any artist seeking publicity, such as establishing a presence on Facebook and Twitter and participating actively in “the many water cooler conversations that happen there daily,” as well as generously sharing interesting and helpful information with others. Ms. Knight concurs with James Inverne that a critical activity is “launching entrepreneurial projects that articulate one’s artistic identity and passion”. An equally important step is to regularly “collect interested parties of all stripes into a mailing list”. The larger the fan base you can attract and build and the clearer your artistic identity, the greater the chance that you can also attract press attention. She cautions, however, that one should never add a press person to one’s mailing list without first gaining their permission. A good way to do this when writing to someone in the media is to mention your upcoming event with a link to further information about it, and to ask whether you might stay in touch with them about yourself or your ensemble. This might be a bit less “threatening” than to ask outright whether you might add them to your mailing list. Amanda Sweet of Bucklesweet Media underscored to me the importance of knowing something about individual writers and what they like to cover. If you’ve read something by them that you really liked, it can’t hurt to mention that when you approach them. Nancy Shear suggested to me that an attention-getting e-mail might include a statement about a particular connection that the artist might have to works they are performing or recording — for example, if the work has folk-based themes and the artist has a strong connection to that culture or country, or if their teacher studied with or knew the composer. I have always felt that the biggest obstacle for an artist trying to approach the press directly is obtaining their contact information. Ms. Knight suggested that artists make Google their best friend. A Google search of artists making music similar to theirs will yield information about where they have received coverage. They might gain information also from searching the artist’s e-mail address or Twitter handle. Once they have targeted a group of press outlets, they might well find an e-mail address on the masthead of the publication. Even info@email addresses should be noted and used. Gail Wein of Classical Music Communications was kind enough to draw my attention to two new websites which artists might consider in their DIY approaches: New York Classical Review and Classical Voice North America. New York Classical Review was founded by critic and writer Lawrence A. Johnson. It joins earlier results of his efforts including The Classical Review and websites covering the arts in Boston, Chicago and South Florida. In an e-mail to me, Mr. Johnson indicated that they are happy to receive information about any professional classical concerts of interest. However, he pointed out that with the large volume of cultural offerings in New York each day, their coverage will be less comprehensive on the newest website than in other cities. They will naturally cover high-profile events but are also interested in presentations in smaller venues and programs that are offbeat in nature. Information should be sent to ljohnson@theclassicalreview.com. Classical Voice North America was launched by The Music Critics Association of North America. It is a “new web journal of music criticism and commentary written by its members and occasional guest contributors. “ According to Barbara Jepson, president of the MCANA and a frequent writer for the Wall Street Journal’s Leisure & Arts, as well as other national publications, “it was created to provide increased coverage of classical music at a time when it has been reduced or eliminated in traditional print outlets.” I asked Ms. Jepson whether there was a vehicle for performing artists without publicists to submit ideas for coverage by CVNA. She said that it was fine to send e-mails or press releases to their local critics who might contribute to the website or to CVNA.editor@gmail.com. She suggested that submissions should focus on events of national interest, such as a concert tour rather than a single engagement, or an event that might involve unusual repertoire or new scholarship, or that might tie in with a national trend. It is not impossible that a single concert might be covered, especially if the program included the premiere of a new work written by a widely recognized composer or one who has begun to attract significant attention. Further guidelines can be found in the “Contact the Editors” section of CVNA’s website. It should also be noted that CVNA is interested in hearing from performers who can write articulately about issues that are important to them, or discuss some aspect of music that they are performing that would be of interest to a classical music audience. At my request, Ms. Jepson offered a few words of advice to artists approaching the press on their own. She suggested that if you make an initial contact and do not hear anything back after a few weeks, it is fine to send a follow-up e-mail. Writers are deluged with releases and also are frequently working under deadlines. However, if there is no response after the second approach, she suggests that you try someone else. In such an instance, she emphasized that the artist should never take it personally if they do not receive a response. It doesn’t mean that their project isn’t worthy. It just means that the publication or website has decided for whatever reason not to follow through at that time. She added that it’s not realistic to expect that critics will give personal feedback on a recording or performance unless they formally do so in a review. Overall, she suggested that “the best thing a performer can do to attract press attention is to learn to think like a music journalist. What’s new? What represents a trend? What’s a different viewpoint from the prevailing orthodoxy?” This advice seems eminently logical and succinctly to the point for anyone developing an independent publicity strategy. 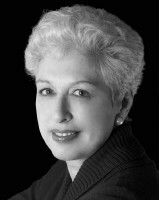 Edna Landau has dedicated over 30 years of her life to the field of artist management. She was a Director of IMG Artists from its founding in 1984 until her departure from the company in October of 2007. Her global vision, passion for the arts and uncompromising work ethic played a major role in launching this unique company, which is now the only truly international performing arts management company in the world. Ms. Landau is frequently invited to lecture at college and conservatory campuses and to meet with students in career training programs.